It was a warm event a few weeks back when we had the pleasure of having Jimmy Wales in the audience. He shared some impressive statistics about the Yoruba community on Wikipedia. The major highlight of what Jimmy Wales shared was that the amount of cables coming into Sub-Saharan Africa demonstrated by the speed of internet he got in his Hotel shows that Nigeria is set to tap into the online digital world. He wasn’t the only speaker. We also had Japhet Omojuwa and Tolu Ogunlesi in the audience. 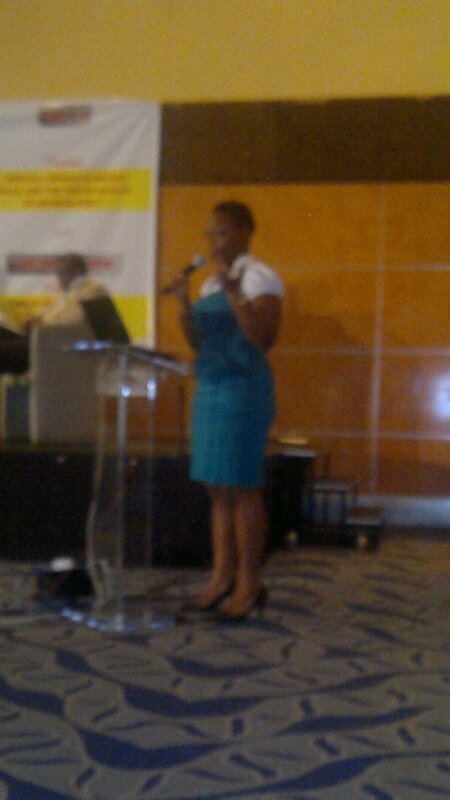 Of striking interest to me was a presentation by Lola Talabi-Oni that hinges on ten trends that brands should watch in 2012. What are those trends? How can brands begin to position themselves to tap into it? What do I personally think? Mobility – We take our mobile phone with use everywhere, next to our wallet and keys. It is one way you can be in everyone’s pocket. Touchy-feel – Touch is the new cool. Swiping on touch device will gain more ground among the youths. Olympic fever – The Olympic will be held. Is there a way you can create a product or a campaign to factor this in? Citizen’s journalism/activism – If you use Twitter or Facebook, you’ll have noticed this. It is still ongoing. Cashless/mobile payment – It is going to get more support from the government, the bank and operators. Recession fatigue – Those that have lost their job and those not having a job won’t be ready to spend much. Show and tell – Video and Photos will be a good content to share online. 1. Mobile – I was reading an article on Businessday earlier today. The Manager of insight communication Lorenz Mbah, strategy director at Insight Communications, strongly believes that mobile interaction is a governing factor of business in Nigeria, more than the grounded internet. He also commented that, “…mobile is the most reliable source, always providing a connection.” It is rare today to find a youth using a mobile phone that is not connected to the internet. We can see how Telecos are responding to this by providing different tariffs that are tailored to suit these youths. With as low as N100, you can have access to a day bundle of internet. You are most likely to find folks hanging around their friends but not talking to each other, or even when talking to each other, but through messaging—Blackberry messaging, MXit, Whatsapp or some other form of social messaging like Facebook and twitter. It is imperative for businesses to see how they can create contents that can be easily delivered, consumed and shared on mobile devices. While people are engaged with their mobile phone in this way, you do not give them directive on how they will share, they decide how and what to share. Contents that they like to share include audio files, video, pictures and screenshots. Not many of them are comfortable with sharing publicly. Even if they do interact with your content online either via your Facebook page, an advert or on Twitter, they will go into their private groups and start to talk about it. They are either praising and recommending your service or condemning it. You cannot in any way directly influence that. Know that mobile is getting bigger in this way can influence you when developing your online and mobile digital strategy that will help you achieve your brand objectives. 2. Touchy Feel – Touch is the new cool. Touch has opened the door to a new way of interacting with different mobile devices and I find it very cool. While many of the old timers—old school folks—may have a problem adapting to touch, it is the first device some young people are exposed to. Even when touch is not their first device, younger people are more daring and adventurous. I know how hard it was for me to adapt to touch. But once I became a convert I found it as cool and not considering going back anytime soon. In what ways are you going to implement this knowledge? There are folks who like to be associated with what they see as cool even when they cannot afford it. You can include the image in your ad. By the way, there are touch screen phones that are less than N40,000—Gaga Phone by Etisalat, Asha phone from Nokia, Galaxy range of device from Samsung. There are those young users, even though low in number, that use their parents touch screen devices like the tablets. You should consider them too. I will go into the analysis of the remaining trends in a future piece. What challenges are you having in developing an effective mobile strategy for your brand? Tags: facebook, mobile devices, Telecos, twitter.